Capt. 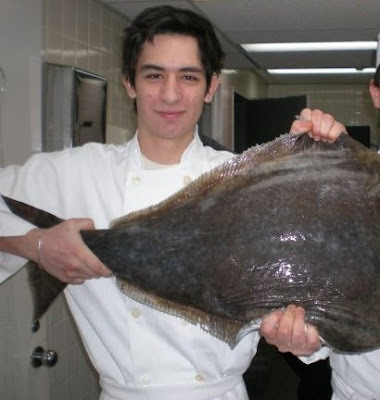 McClusky mentions favorably what dish at the restaurant in which he will eventually be murdered alongside Sollozzo by Michael? Birthday dinner Peter Luger’s Too bad no Miles! Speed cooking before work, have 40 min-why? I relented and ordered in last night: yuk and expensive! 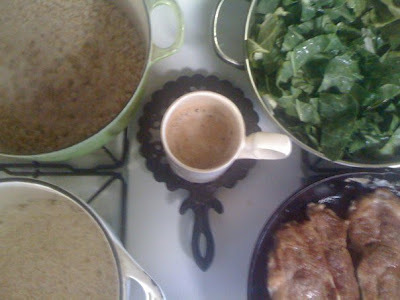 So, coffee for me (duh) oatmeal for us and pork chops, collards and rice for them–a nice light summer meal, lol.